Takeout may help you satisfy your hunger, but a hearty, home-cooked meal beaming with flavor is something to live for. The only catch is – it usually takes a lot of time and nowadays, having time for yourself has become the greatest luxury of all. Still, we may have discovered the solution to this problem and it can be summed up in two words: Plated recipes. If you think we are exaggerating, wait until you discover the wealth of options and ideas that are waiting for you in the Plated cookbook. Plated meal kit service offers 22 recipes on its menu every week. The options on the menu include both dinner ideas and dessert recipes. Plated recipes are neatly categorized, so you can easily filter by the desired cooking and preparation method, diet, main ingredient, and more. Plated recipes for dinner can be divided into 2 main categories: weekly recipes and encore recipes. Out of 20 dinner recipes available per week, 12 are particularly designed for that week and labeled as weekly recipes. 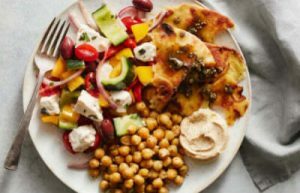 The remaining 8 recipes are labeled as encore recipes – these are dinner ideas that received the highest ratings from Plated customers in the previous weeks and occasionally reappear on the menu so Plated fans can revisit their favorites. Further, Plated recipes for dinner can be divided into 8 sub-categories, based on protein source, suitability for special diets, and method of preparation. The subcategories include meat, seafood, vegetarian, low-carb, gluten-free, quick-prep, stovetop only, and recipes under 600 calories. Occasionally, the service offers spicy and grill recipes as well. Out of all Plated recipes, meat recipes are the most numerous. Every week, there are at least a dozen of meaty dinner ideas, usually featuring chicken and beef, with occasional pork, turkey or duck. The recipes are mostly reinvented classics like empanadas, tacos, burgers, steaks, and meatball sliders, with several more exotic dishes, like Moroccan kefta (minced meat) or Vietnamese caramel chicken. Plated recipes featuring seafood are not as numerous as the ones focusing on meat, but there are still at least 3 or 4 recipes for seafood lovers every week. They mostly focus on shrimp, scallops, and calamari, as well as various kinds of fish, like cod, flounder, and salmon. Plated recipes with seafood are particularly rich in veggies and healthy grains like quinoa. Plated recipes for vegetarians are particularly creative. There are at least 3 or 4 veggie recipes per week and they mostly include baked dishes, pasta, and salads. You can expect an abundance of innovative veggie tarts, tartines, pies, quesadillas, paninis, pizzas, spaghetti, penne, and gnocchi, as well as imaginative mushroom dishes like BBQ mushroom sliders and soy-lime shitakes. For those on low-carb diets, there are usually 3-4 recipes on the weekly menu. Plated recipes that are low in carbs usually feature chicken, steak or fish, like salmon or cod. Vegetarian recipes are rarely low in carbs. Plated offers a lot of options to individuals allergic to gluten. Usually, there are around 9 gluten-free recipes on the menu. Typically, these are meat recipes featuring chicken or steak, with a couple of seafood recipes featuring salmon, cod or shrimp and one or two veggie recipes. Plated recipes for home cooks allergic to gluten are designed to include no gluten-containing ingredients. However, due to potential cross-contamination, they are not suitable for individuals with severe gluten allergies. Quick-Prep recipes appear on the Plated menu almost every week, but there are usually only 1 or 2 options. These dishes take 20-30 minutes to make and hands-on time is minimized – usually 5 to 10 minutes. If you have virtually no time to prepare a meal but want something fresh, delicious, and homecooked, quick-prep recipes are the way to go. If you do not want to deal with extra steps, such as preheating the oven and waiting for your meal to be baked or broiled, stovetop only recipes are designed for you. They are rather numerous, with 8 to 9 stovetop only options on the menu every week. Plated recipes from this category are usually quite quick and require you to spend around 30 minutes in the kitchen. Finally, if you are on a low-calorie diet, Plated recipes are once again a great choice. You can choose from around 4 dinner ideas (mostly vegetarian and chicken recipes), all containing 600 calories or fewer per serving. Keep in mind that Plated recipes that are low in calories are often not low in carbs, so if you are trying to lose weight and steer clear of carbs as well, be sure to check nutritional info before you order. Unlike many other renowned meal deliveries, Plated does not only offer savory dish ideas but also brings you some sweet delights that are sure to satisfy your cravings. Rich, light, decadent, creamy, chocolate, caramel or fruit, intricate or simple, you can find them all on the Plated menu. Every week, there are 2 new dessert recipes to choose from, both yielding 4 servings and usually ready in around 30 minutes. Most Plated recipes require you to spend around 30 minutes in the kitchen. Based on cooking difficulty, the majority of them are labeled as easy. Special recipe categories particularly suitable for busy novices include stovetop only and quick-prep recipes. If you have some experience in the kitchen or more time to spare, you can opt for recipes with prep and cook time of around 40-50 minutes. These recipes are often labeled as medium or even challenging in terms of cooking difficulty. However, it is worth noting that even the challenging recipes do not include too complex cooking techniques – if you cook on a nearly daily basis, the results are sure to be perfect. Plated recipes are always easy to follow, regardless of the level of cooking skill they are suitable for. The instructions include just several simple steps, all thoroughly explained. All ingredients in your kit are clearly listed, with exact quantities, so you can easily recreate the dish at a later time. Furthermore, the service provides a full list of pantry staples and utensils you should have at hand, like salt, pepper, oil, aluminum foil, baking sheets, pans, pots or a food processor. That way, it allows you to prepare everything ahead of time, so once your kits arrive, you can get cooking right away. A perfect meal is the one that is good for you, brings pleasure to your taste buds and combines familiar ingredients into something new and absolutely thrilling. Plated chefs know that very well, which is why all Plated recipes call for only the healthiest ingredients that contain everything your body needs, combined into heavenly tasting masterpieces. There may be ingredients you don’t like, but everything can taste amazing if it’s cooked just right, as you may discover once you try Plated recipes. Don’t avoid all those greens you’ve shunned so far – you’d be amazed by how good they can taste when paired with your favorites, especially if they are as fresh and fine as the ones in Plated’s offer. All Plated recipes are optimally nutritionally balanced and the average calorie count is between 500 and 800 calories per serving, which is perfectly in line with the national dietary guidelines for healthy eating. If you are trying to reduce your carb or calorie intake, there are plenty of low-carb options and recipes under 600 calories per serving. Even if you are a really good cook and know tons of tricks on how to make the meal taste just right, it is always great when you get a chance to learn something new. Plated chefs have dedicated their life to food, have a bunch of awesome tips to share, and love giving advice to all Plated fans. 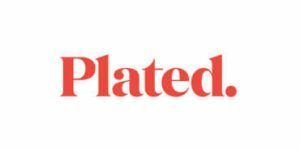 Be sure to check out the Tips & Tricks section of the Plated website and learn how to perfectly cook every meal you can find among Plated recipes. Plated boasts one of the richest and most diverse menus on the meal kit market. It offers 20 delicious dinner recipes, plus 2 easy-to-make desserts for some sweet, indulgent after-dinner moments. Its recipes are healthy, tasty, and quick – everything you are looking for on weeknights when you crave a good home-cooked meal that does not require you to spend hours in the kitchen. If you are having some difficulty finding the freshest, organic ingredients, you can always order them from Plated and get some super-secret artisan spices you cannot find in stores. Cooking has just become a lot more fun!